Yes, I’ll be at the Gulfport Art Walk again this Friday night with author Bria Burton. There will be freebies as well as specials on my books and books by other offers as well in the Soul Attitude Press stable of authors. We’re located between 29th Ave S and 30th Ave S on the east side, in front of Yummy’s (or thereabouts) and across the street from Backfin Blue Cafe. Just south of Red Hot Tiki. In fact, we’re the 3rd booth in from the library on that side, so we’re up near the end! This is a great little event with booths on both sides of the main drag down Gulfport from the library to the waterfront. They have wonderful restaurants and many small vendors like ourselves, offering a plethora of items for you. I’m still working, slowly, on the next episode in the saga. But if you haven’t picked up one of the first 3 books, now would be a great time to do so. As always, I offer anyone who’s interested a part in the story. They can appear as themselves (with whatever role they’d like – good/bad), and for those in school (and not yet adults), I will use your first name only. Soul Attitude Press, my publisher, will be staffing the booth and also offering titles from other authors. From the funny, rascally grandpa Tic Rawghers, who’s also working on another one of his Grandpa’s Guides books, John Rehg, author of several spiritually-based books, and the aforementioned Bria Burton, also with an eclectic mix of titles. We always have a good time at our booth. We are open to discussing whatever topics come up, from art to zombies. Hey, maybe we’ll have 5 minute windows on topics beginning with each letter of the alphabet. Interesting? We hope to see you there! Even if it’s just to wave as you pass by, we’ll be happy to wave back. I’ll be at a booth at the Gulfport Art Walk with authors Bria Burton, Grandpa Tic , and John Rehg on Saturday, Dec 17, from 6-10pm, with some specials just in time for the holiday gift-giving. Or, if you have all your presents, stop by and chat about anything and pick up a few freebies. These are always fun events, with great food from the restaurants in the city of Gulfport, music, and of course the street vendors. Weather is forecast to be excellent, and we’ll be just up from the Mangia restaurant. You may wonder, JG, where’s the next zombie episode? When’s book 4 coming out? Both good questions, which I’ll be happy to answer at the art walk! I might just need you to be in the story! Bria has also set up a Facebook event, so you can hop on there as well and say hi. Saturday, 11/12/16, I will be at the Festival with some fellow authors in booth H7. It would be great to see everyone, and I will have some ‘Black Friday-Saturday deals’ to help you prepare for the upcoming season. In addition to the myriad of books we’ll have at our booth, you’ll be able to see and hear famous authors, poets, and journalists, like Michael Connelly, Peter Meinke, Tim Dorsey, and Lisa Unger, to name just a few. One presentation not to miss would be Roy Peter Clark’s. He puts on a great show to get across his points on writing. I still remember one he gave eight years ago! Another special presentation might be Cheryl Hollon’s. A former FWA member who now has a multi-book publishing deal and several mysteries out, she would be a great resource for information on what the industry is like to someone getting their first books out. I and my fellow authors hope to see you there! 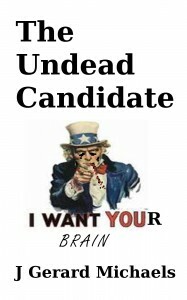 Undead Party is Rolling in the Grave! Tired of Clinton or Trump? 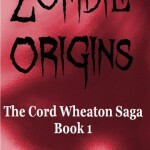 Then read about Zach Taylor – the first zombie for president! 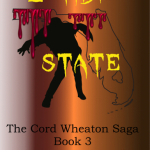 This is the origin story of the saga, where our hero, St. Petersburg, Florida detective Cord Wheaton encounters a zombie for the first time, and has to convince the department that what he saw was real. This saga is pre-apocalyptic! Originally written in time for the Obama-Romney debates, it’s even more timely now, with two of the least-liked candidates in history running for president. Now is the time for a small party upset. Write in Zach Taylor for president! His vice-president is Bat Skitman. It’s time to get Zach Bat Fever! TUESDAY 10-18, WEDNESDAY 10-19, and THURSDAY 10-20. Get it in time to read BEFORE the debate, DURING the debate, or AFTER. It doesn’t matter. Once you hear Zach’s platform, you’ll be convinced he’s the right zombie for president. He’s for the harvesting of all expired brains, and for equal treatment for all people, living and undead. Vote for Zach and Bat! 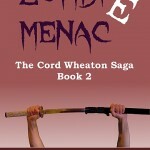 Get the Kindle version here – and read it on your Kindle device, your pc, your phone – and see what the Undead Party can do for you.